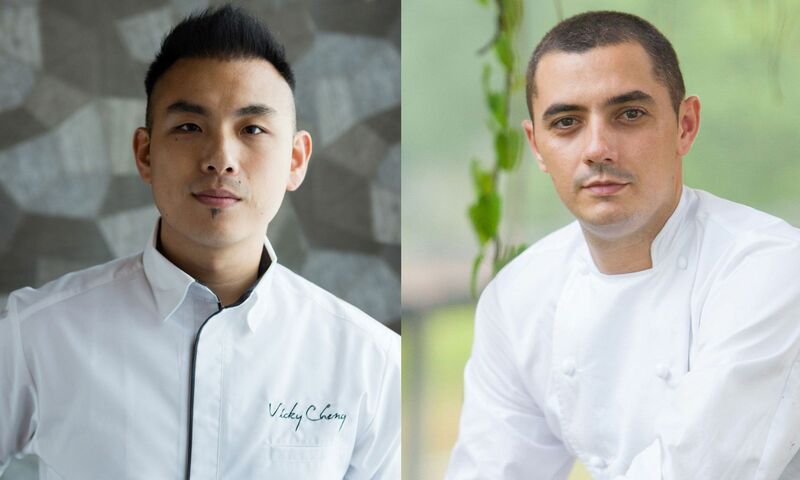 After a series of sold-out four-hands collaboration with esteemed chefs such as Tam Kwok-Fung, Lanshu Chen, and Margarita Fores, Vea’s Vicky Cheng is set to join forces with Singapore’s Julien Royer of Odette, as the two innovative chefs will create an exclusive two-night culinary collaboration. On evenings of February 21 and 22, chefs Cheng and Royer will design and craft a joint eight-course Chinese-French dinner menu showcasing courses inspired by seasonal ingredients as well as a crisscrossing fusion of Eastern and Western flavours. Signatures include Royer’s fresh uni ‘French toast’ with brown butter and finger lime, tartelette of Kegani crab with cauliflower and Vadouvan curry, served alongside Vicky Cheng’s unique crispy sea cucumber with female mud crab, ginger and 22-year huadiao wine and wagyu beef charsiu with crispy daikon and scallions. The four-hands collaboration menu is priced at HK$2,880 per person, with an additional HK$780 for optional wine or cocktail pairing.